Cuba. Highly recommended. Marion did not like it as much as me, but says its a good movie. 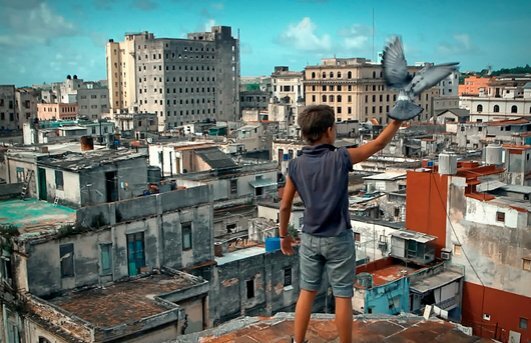 Set in what I take to be present day, in a poor neighborhood in Havana, centered mostly on the local school. One thing Cuba has in common with the USA seems to be that all social problems are expected to be resolved by heroic teachers bucking the system. I’m guessing the Cuban film version is about as realistic as ours tend to be, which is not much. The main character is, of course, the smart and personable kid who is always getting in trouble. These are common enough movie tropes, and they are carried off very well in this film. 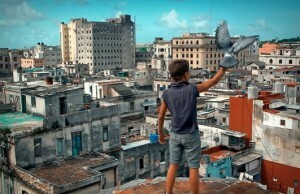 A reason to see the movie other than for the story is to see Cuba. The old Buicks and the crumbling infrastructure and the street scenes full of people just getting by. As I watched I wondered , now that we have finally, finally!, started to open up to Cuba, how long it will be before there is a Starbucks on every corner and people long for the good old days of the embargo. The stupid pointless embargo. I have a strong intuition that Cuba is going to be fabulous. Take a country full of smart, beautiful people who have had to be highly creative just to get by all these years, add economic opportunity, and they will be fabulous.